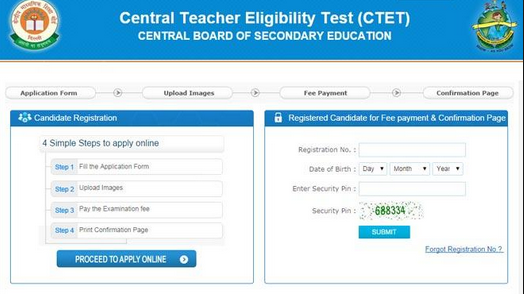 All students can find here Haryana Teacher Eligibility Test (HTET) Environmental Studies (EVS) Solved Question Papers for the post (Teachers for classes XI & XII) examination to be held in 2015. 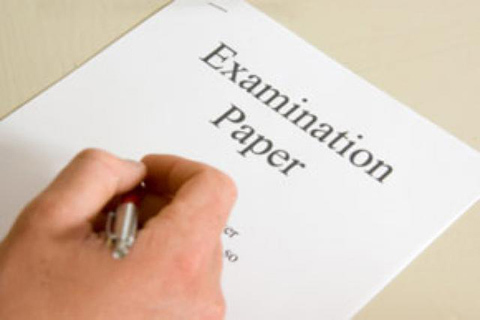 All these question sample papers will help you for better exam preparation. 1. ___________ is not a physical tag. 2. ____________ first proposed the process of normalization. 3. A ____________ uses physical addresses. 5. ____________ is also called class interface. 6. ____________ is an example of Half Duplex System. 7. _____________ shortcut key is used to insert a new slide in the document presentation. 8. A file which contains readymade styles that can be used in a presentation is called __________. 9. _____________ are data items that never change the values during a program run. 11. Overall System architecture is derived in _______________ phase. 12. When two enteries about same data do not agree, the database is said to be ________. 13. _______________ sorting smallest key is taken again and again in unsorted array. 14. TCP connection is available at port _____________ on HTTP. 15. Which gate does the following circuit represent? 16. ___________ function gives the total number of rows in a table. 17. What is an operating System? 18. What is the last column of a worksheet? 20. A CPU’s processing power is measured in ______________. 21. Macros are run or executed from ____________ menu. 22. In _____________ insertion & deletion takes place only at top. 25. Microprocessor based computers started in ______________ generations. 27. In SQL decimal data type, _________indicates the number of significant digits the number is to have. 28. The number of attributes in a relation is called _______________. 29. _____________ is not a type of formatting in MS-Word. 30. _____________ command gives virtual table with no data, but can be operated like any other table. 31. ____________ tag is used for adding comments. 32. A _____________ operates at the highest layer of network abstraction. to a limited extent by a keyboard as well). 34. In CREATE TABLE SQL command, each table must have atleast ___________ column. 35. ____________ function is used to read string. 36. The requested files used by web are stored in ________________ memory. 37. ___________ generation of computers was rhe first to store instruction in their own memory. 38. ______________ document acts as a contract between the developer and the customer. purpose and environment for software under development. 39. ______________ is a collection of data sent as a single message. 40. ____________command is used to move to a particular page number in a file. 41. Which feature help to insert the contents of clipboard as text without any formatting? 42. The multiple use of input or output operators in one statement is called ___________. 43. When a function is defined inside a class, it is called ____________. 44. The problem of variable delay in video conferencing is removed using _____________. 46. Decimal Conversion of (11A.62)16 gives ___________. 47. _________ is a pool of values from which the actual values appearing in a given column are drawn. 48. What function display row data in a column & column data in row? 49. ______________ is a file that contains data about data. 50. FTP is a ____________ layer mechanism of TCP/IP. 51. To introduce special effects in a slide show ___________ is used. 52. The size of 1-D array with UB as upperbound and LB as lowerbound is given by _________. 53. A _____________ is a set of rules that are applicable for a network. 54. ____________ refer to names of variable, function, array and Class created by the programmer. 55. Two similar structures can have only _____________ assignments. == is the equality operator. it returns true if the left side is equal to the right side, and returns false if they are not equal. 56. _____________ generations of computers started the use of operating systems. 58. _____________ is an exit-controlled loop. 59. Which of the following characters is used as punctuator? 60. ______________ keyword eliminates duplicate rows from the results of SELECT statement.